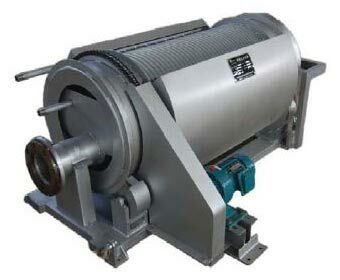 We manufacture and supply KLRS Rotating Drum Solid-Liquid Separators that are widely used in solid-liquid separation of industrial wastewaters. The horizontal cylinder structure of the machine makes it a very reliable device in which there are no issues of clogging and corrosion. The design facilitates easy cleaning. The specialty of our KLRS Rotating Drum Solid-Liquid Separator is its 100% efficiency in segregating solids from liquids during the pretreatment of wastewater.